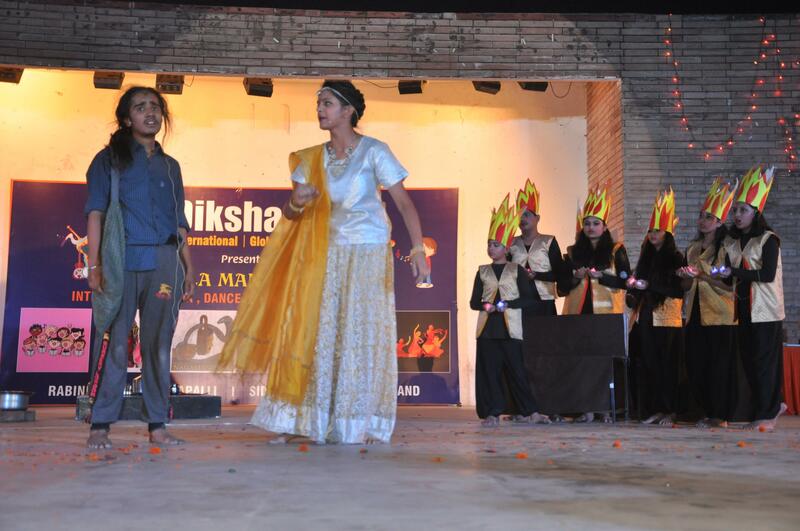 ‘Kala Manjusha’ 4th Inter-House Dance, Drama and Music Competition of Dikshant International School was held at Yavanika Open Air Theatre here today. Shrimati Rani Balbir Kaur, retired Professor, and Chairperson, Department of Indian Theatre, Panjab University, Chandigarh graced the programme as the chief guest. Mr. Mitul Dikshit, Chairman, Dikshant School and the Chief Guest set the ball rolling by lighting the traditional lamp, followed by a melodious Ganesh Vandana, hailing the God of wisdom. It was truly mesmerizing as the various houses showcased their talent with an amalgamation of mellifluous music, dazzling dances and thought-provoking skits. 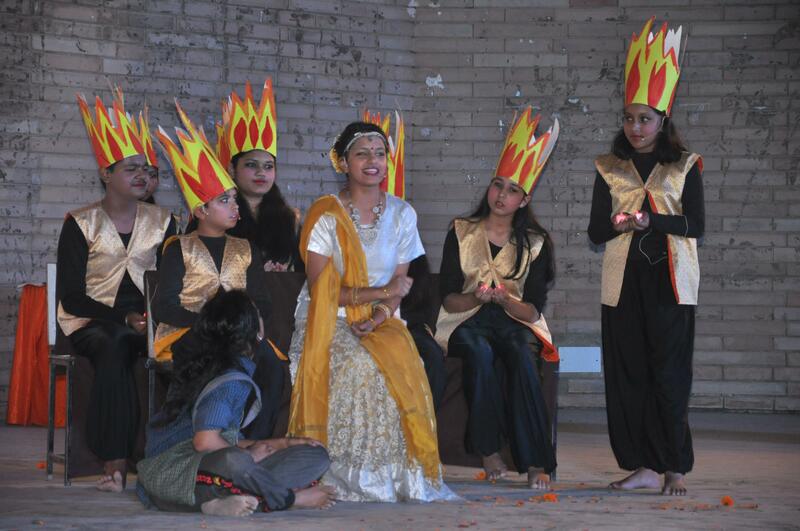 The plays enacted were included – ‘Elder Brother’- an adaptation from Munshi Premchand’s story ‘Bade Bhai Sahib’, ‘Jewel Thief’ – an adapted from ‘Hasya Chudamani’ by Vatsaraj Virchit, Caucasian Chalk Circle by Bertolt Brecht and ‘Mukti’ adapted from ‘Nagamandala’ by Girish Karnad. 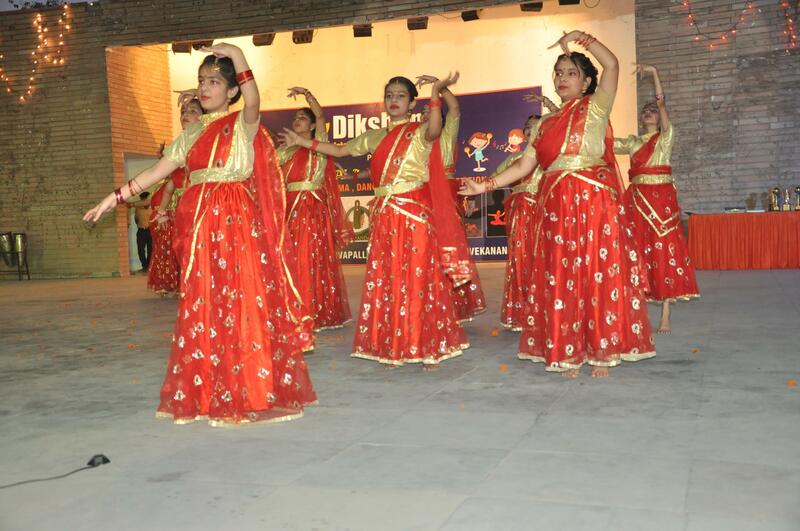 Classical and semi-classical dance performances by students were imbued with grace, while the singing competition included recitation of dohas. The theater reverberated with the poetic verses of Saint Kabir, Surdas, Rahim and Tulsidas as the students sang the verses melodiously. Parents and guests had a glint of pride in their eyes as they sat glued to the show. An accomplished classical music maestro Mr. Vinod Pawar, Sarangi Vadak, Veteran artist Mr. Vikrant Seth and versatile actor Mr. Davinder Pal Singh were the esteemed judges of the cultural fest. The Chief Guest, Smt Rani Balbir Kaur, a seasoned scholar and Sangeet Natak Academy awardee, appreciated the students’ efforts in putting up the entire show. She guided the students with her inspirational and stimulating words and honored the prolific readers with star badges, thus giving due recognition to their aptitude and acumen.